At Room & Board, we believe community involvement is an essential part of our overall well-being. That is why we support organizations in the communities in which we live and work. Our Los Angeles team has partnered with LA Family Housing (LAFH) since 2013, as a part of our focus on organizations with a commitment to strengthening homes and families. 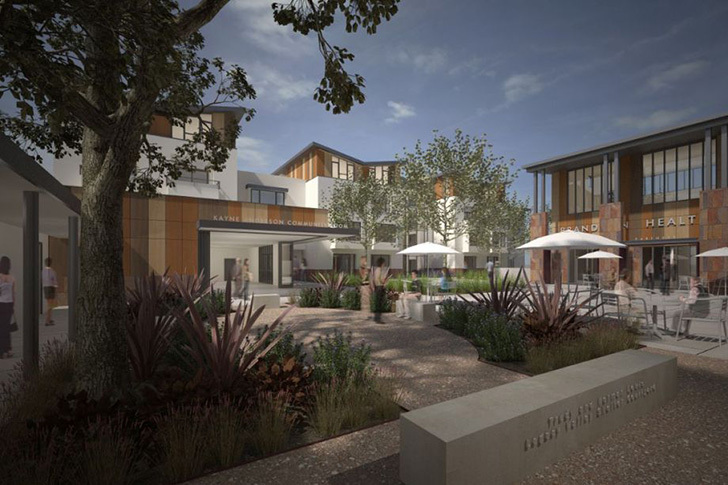 LAFH’s mission is to help families transition out of homelessness and poverty through a continuum of housing enriched with supportive services. 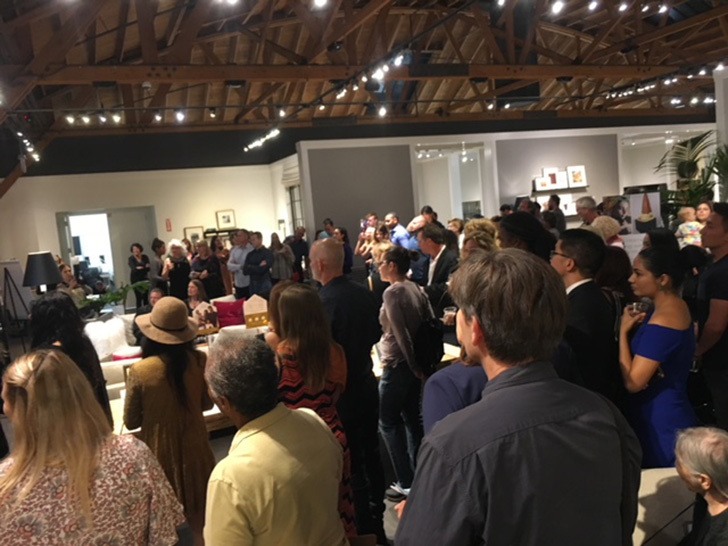 Attendees enjoying the Art + Home event supporting LA Family Housing. LAFH owns 23 properties in the Los Angeles area. It offers a holistic approach to treating people, providing housing for homeless families needing shelter and time to transition to more permanent housing. It also provides accommodation to those who are chronically homeless due to disability or addiction, with no limits on how long they can stay. The Los Angeles team has supported LAFH in many ways throughout the years. Some of the smaller projects include toiletry drives, delivering Thanksgiving baskets, wrapping holiday gifts and delivering to the shelters, and donating furniture to the new clinic. Our Los Angeles members know volunteer opportunities are helpful, they also acknowledge larger needs in the community. 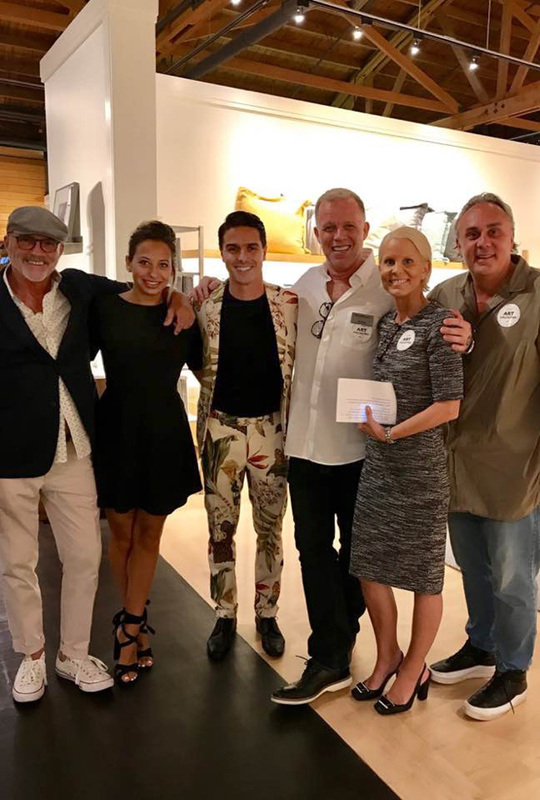 The team raised more than $7,000 at their 2017 Art + Home event, a night of art in support of LAFH. The event drew around 350 guests and 80 to 100 artists. Highlighting LAFH while building awareness about volunteer opportunities and the organization’s financial needs. Art + Home, initially put together by Design Associate Trine Churchill, has been going strong for several years. “Trine has a huge network of fellow artists to pull from. So, Art + Home became this great night where people get to mix and mingle while they browse and purchase art. Also, the artists get exposure, and it all supports a great cause,” said Leadership Associate Bridget Bojorquez. Listed at a fixed price of $400 with 50 percent of the proceeds going to LAFH. Room & Board matched last year’s profits with an additional donation to our community partner.